Why we only roast to order- We believe it is very important to keep the quality of our coffee in a controlled environment until just before roasting and shipping to our customers. Coffee should never be left on a warm shelf for 4 weeks- You pay a high price for our coffee and you should only experience the best quality possible. From the moment the coffee beans are roasted they begin their deterioration, and that is why we ” DOUBLE VACCUM and GAS FLUSH” our Greenwich Blue coffee immediately after roasting in a vacuum sealed one-way valve bag, to allow for the coffees’ slow release of CO2. Most coffees are not ‘Rested’, Jamaica Blue Mountain Coffee rests for up to 60 days. Our coffee rests for 90-180 days, in a climate controlled environment ( 75 degrees F. and 50% relative humidity ). 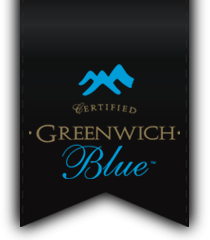 Our handling and detail in preserving the highest cup quality in every Greenwich Blue batch we roast is one of our most distinctive traits that sets us apart from other 100% Jamaica Blue Mountain® counterparts. When ordering please keep in mind our SHIPPING DAYS reflect business days only!